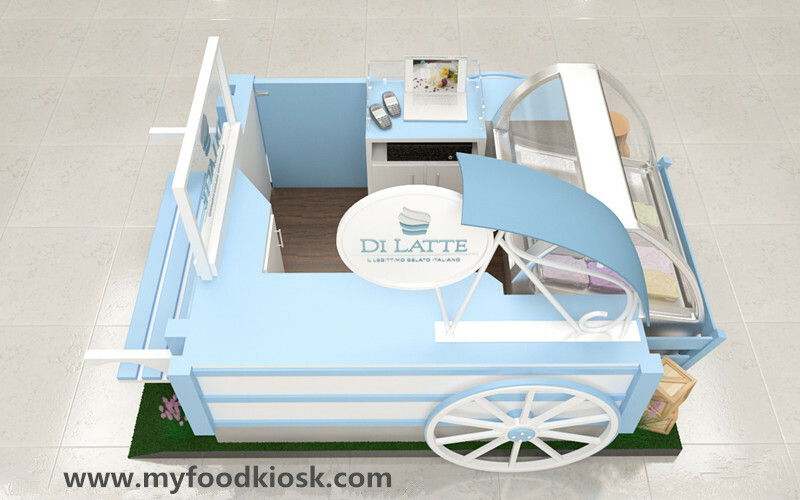 warm welcome visit our ice cream kiosk, this is Lisa from Shenzhen Unique furniture ltd, we are a direct factory mainly do customized for mall kiosk , we have more than 10 years experience , we have done lots of food kiosk like this one, all of them are customized according to our client’s requipment . 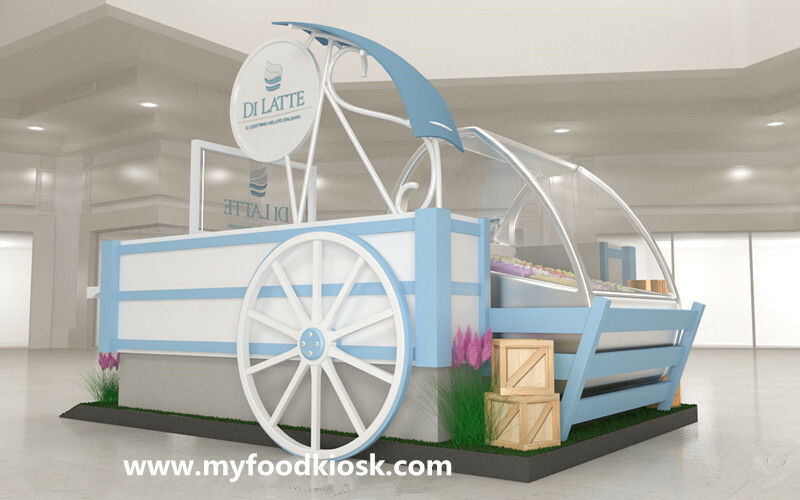 Product name : ice cream kiosk . Color : white, red , wooden . Material : MDF , solid wood . 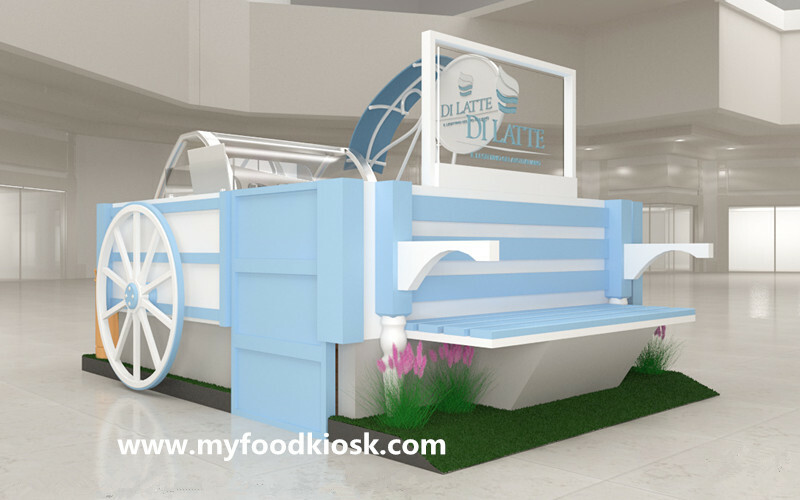 As you see this ice cream kiosk, size about is 3m by 3m , pure and fresh style with sky blue color, looks very nice , this kiosk base material is MDF, surface is white and blue glossy baking painting finished, inside with a ice cream display showcase fridge , if you have more ideas about this kiosk build pls contact us for free. Q1. Can you introduce something about your company? A: Yes, I can. Our company is Shenzhen Unique Furniture Co., Ltd. We have 10 years foreign trade furniture production experience and professional design team. We own many partners from all over the world. Q2. What is your capacity per month? A: The capacity of our factory is 120 or more pieces of month. Q3. How is your quality of this products? A: We are a professional manufacture with 10 years’ production experience in China. We use best material and seriously check every part before shipment, to ensure that our products meet high quality. A: Our price is low and compitive. Because we are factory directly sells. Q5. Can I customize this kind of products from your factory? 1. 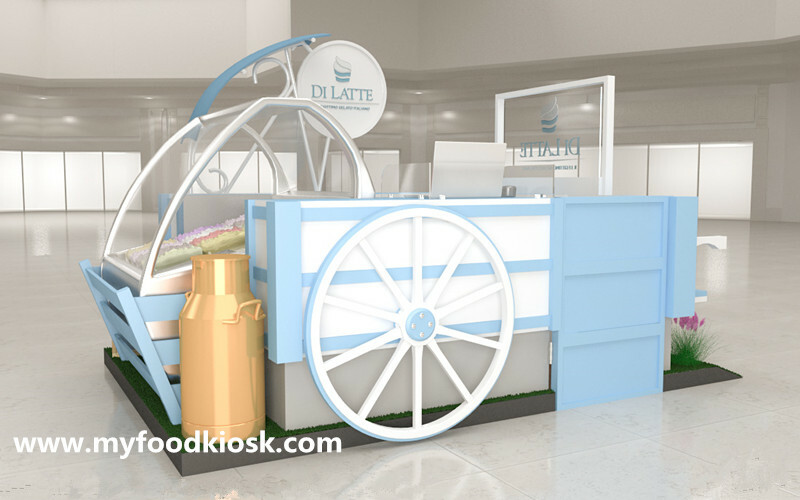 Eco-friendly, healthy, non-toxic materials of ice cream kiosk. Shenzhen Unique Furniture integrated design, manufacture, installation, logistics and after sale service into the commercial furniture industry.We provide serial service and meet all your demands.We always uphold meticulous attitude and keep improving,and make every customer satisfied is our lifelong pursuit.We make effort to satisfied every customer!We have manufacture many carts/kiosks and export them to many countries.Unique’s products gained a good reputation abroad.With excellent quality and first-rate service,Unique owns a promising market and cooperative partner on many famous brand. 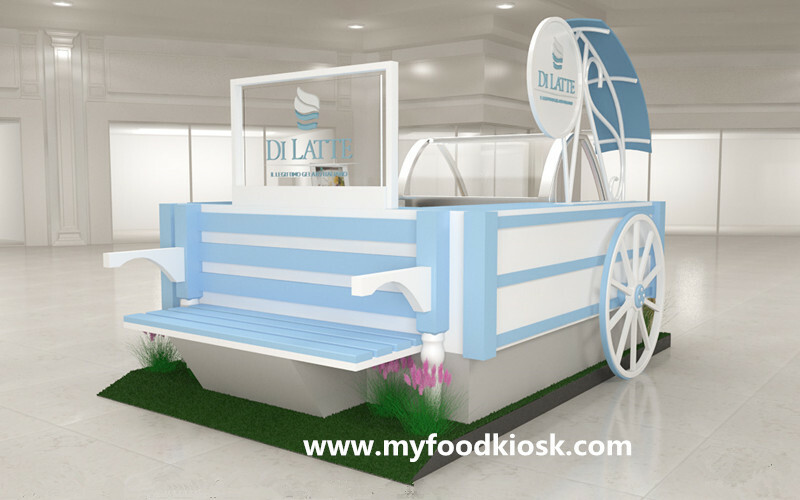 Thanks for your time, if you interested to know more details about this popsicle ice cream kiosk , pls feel freely to contact me. 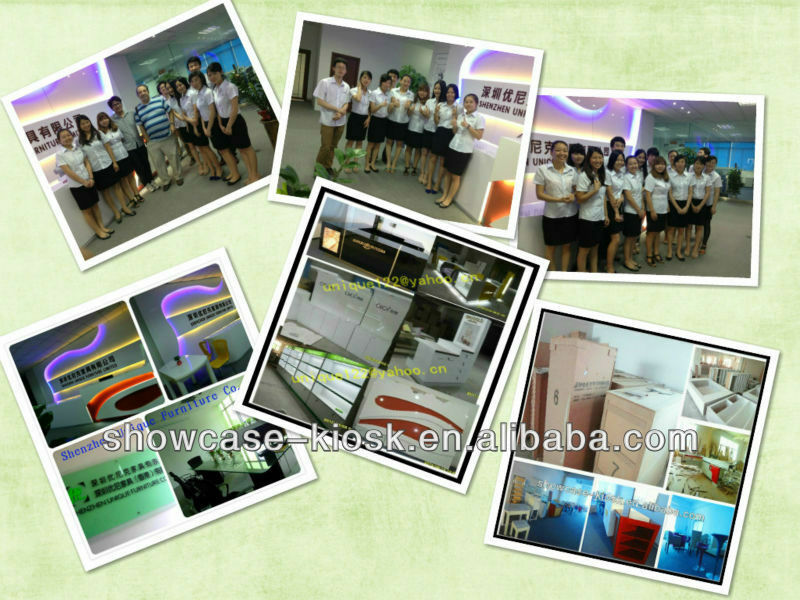 Lisa aways here, warm welcome visit our factory.